By now, you know I am a beauty junkie that is always on the look out for anti aging products that keep me looking young for my age. Who wants to look a day over 40 if they don't have to? I tell my husband that he should be happy that I get to review beauty products that keep me young looking and keep the wrinkles away. My husband is very happy that I still look awesome at 50 and that he saves money by not having to buy all the beauty products. I love being able to share products that work with my friends so they too can look great and keep those wrinkles away. 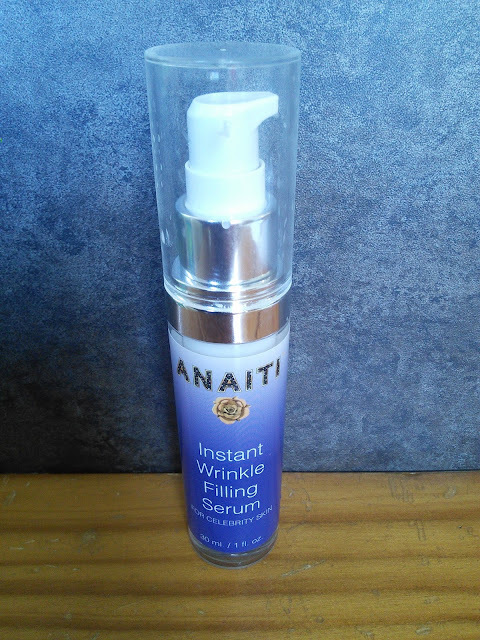 I just had to try the Instant Wrinkle Filling Serum By Anaiti as I wanted to see if it could instantly make my fine lines less visible. The label on the bottle says instant wrinkle filling serum so I wanted to see if it worked. 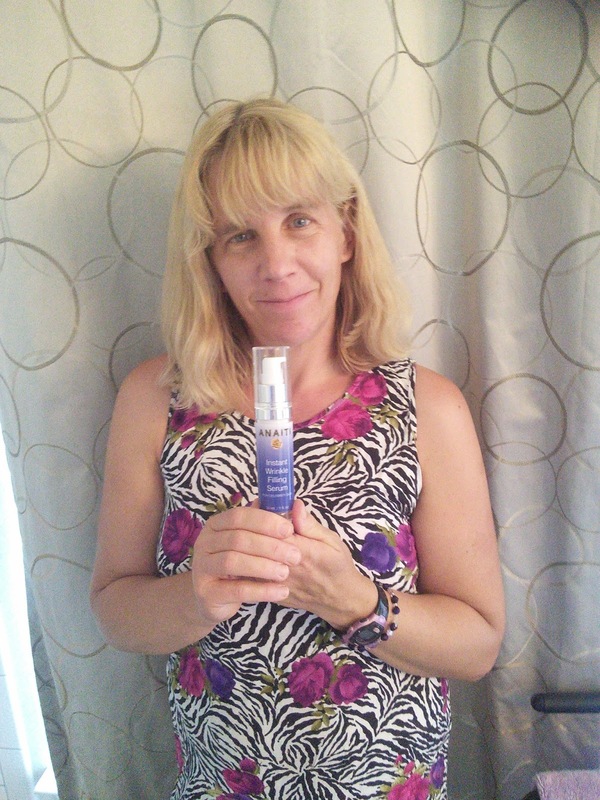 I am happy to say that this product does make my fine lines less visible in just 15 minutes. Just look at some before and after pictures. I noticed that the serum worked better on fine lines than on deeper lines like my smile line, but with repeated use, Anaiti says it will help reduce the deeper lines. So how does this Instant Wrinkle Filling Serum work? It has ingredients in it that help plump and smooth your skin to make those nasty fine lines look less noticeable. I love that these ingredients are naturally derived and provide advance skin care technology to increase the skin's hydration and moisture balance. This anti wrinkle and dermal filler contains Hyacare, Matrixyl and Renovage which is a trio of anti-aging ingredients that mimics the effects of Hyaluronic Acid. Anaiti says that their serum can achieve the similar benefits as traditional facial injections. Wrinkles can improve with repeated use and in some cases will be filled instantly. 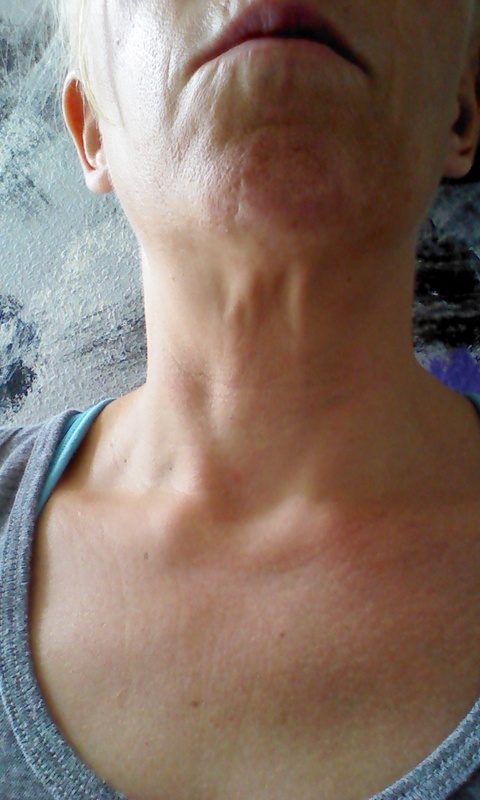 No painful needles! They also say that their serum is a great alternative to Botox and will work below the skins surface to repair the damage caused by aging and sun exposure. I love that the Instant Wrinkle Filling serum is cruelty-free, non-toxic and paraben-free. 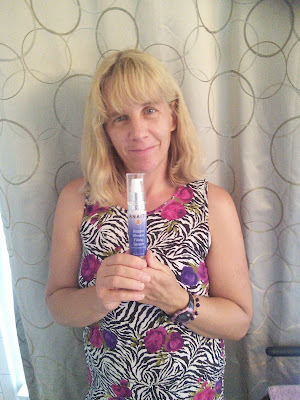 This anti aging product is one that I will continue to use as I am loving the results so far. 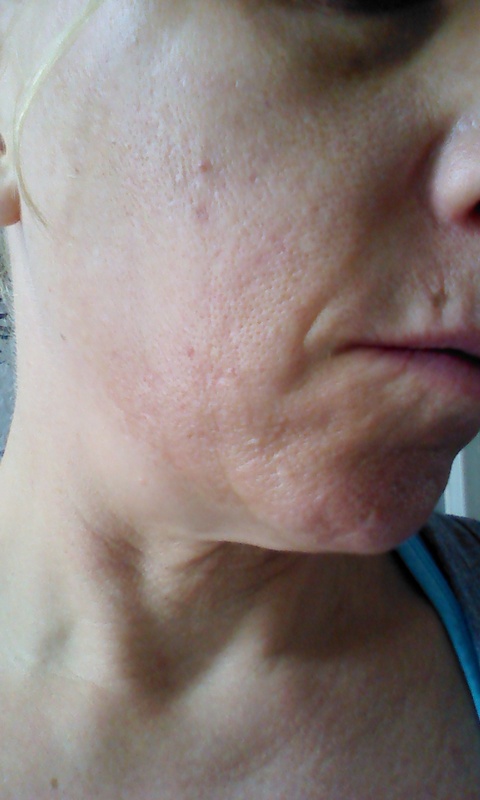 I have been using the product for about a week and I just love how I can rub the serum into my skin and see those fine lines look less noticeable. I hope after using this Instant Wrinkle Filling serum for a month that my smile lines will be less noticeable as they are deeper. I tend to smile a lot so I will keep using this serum to take care of my smile lines. So whether you want to keep your skin looking young or want to smooth away wrinkles and fine lines, I recommend checking out Anaiti's Instant Wrinkle Filling Serum. To get more information about this anti aging product just click on the below link. I would love to try this out. Thank you for the information. This would great for my crow's feet. 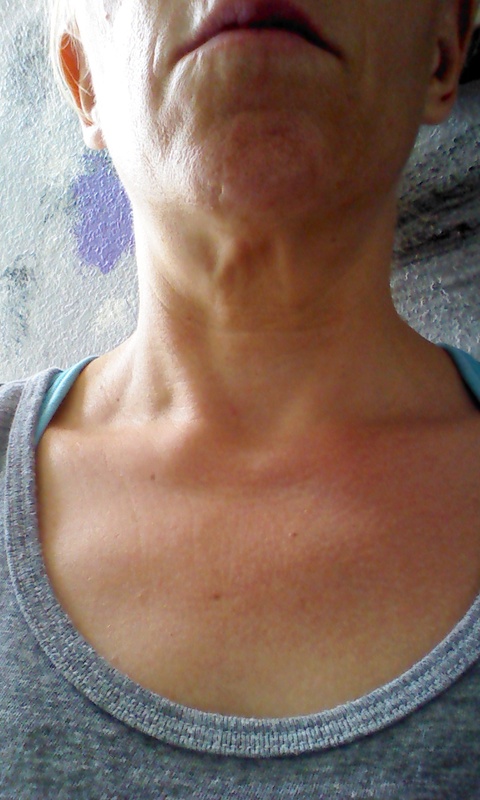 They aren't deep but rather fine lines. This would be perfect. Thanks for the review! Thanks for sharing this Tara and the results look great! Girl - you already look great without any help!!! Looks like a product that might work well, though - thanks for the info! I'm pretty impressed! It actually works and you look great (regardless!). Thanks for the great review!! You look amazing before! The results look great! I love find new beauty products to try. Thanks for sharing! Thank you for sharing! You look great! This product sounds gret. 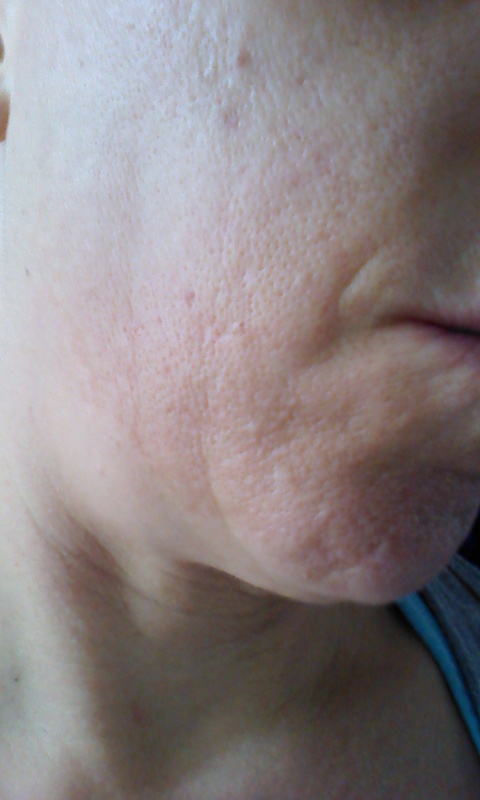 Never to soon to use anti aging products! Great results! I like that it uses natural products and always good when needles aren't necessary and can use products like this instead.